Ham and Cheese Pull-Apart BreadThis guide contains a ham and cheese pull-apart bread recipe. Small balls of dough, filled with ham and cheese, are baked together in a pan to create this delicious pull-apart bread. 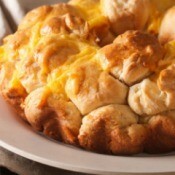 Pull-apart breads are fun to eat and the filling can easily be customized. 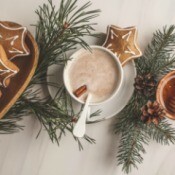 Holiday Entertaining with Sustainable StyleThis is a guide about holiday entertaining with sustainable style. Holidays tend to be a time that create excessive amounts of waste. Here are some great tips for reducing trash, lowering your power bill, and great ways to help the environment when celebrating this holiday season. Marshmallow Crisped Rice Treats (Giant Roasters)At the end of summer you can frequently find the large roasting marshmallows on clearance. 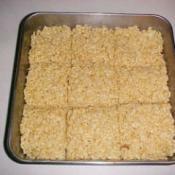 Here is a great recipe for Rice Krispy treats that uses the large roasting marshmallows. This is a guide about making marshmallow crisped rice treats using giant roasters. 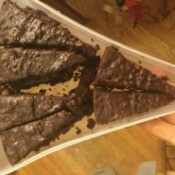 Vegan Bean BrowniesThis is a different brownie recipe from one I posted earlier. This one is higher in fat than the other one, so it is tastier but less healthy. 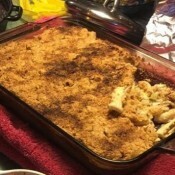 Pasta CasseroleThis is one kind of pasta casserole I made once for a potluck. It's just my take on a common meal. You can make it vegetarian or meat-based, which is what was made here. Regrowing Food ScrapsI have regrown green onions and celery roots in my kitchen to provide extra seasonings. 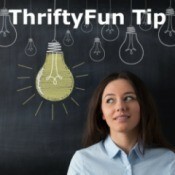 Simply put the cut off root in a shallow bowl of water (enough water to submerge the root area, but the top should be left out in the air) and set on the windowsill. 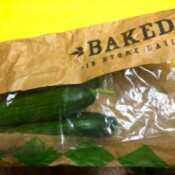 How to Store CucumbersPersian and English cucumbers are my absolute favourite from the entire cuke line, but they aren't the cheapest. In order to keep them from going mushy, it's best to keep them as dry as possible. I find they are very happy in paper bags. Broken Chain EarringsI finally wore out the chain for my favorite pendant. Instead of repairing it, (already did that once) I decided it was time to scrap the chain. 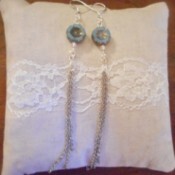 What resulted was a simple pair of earrings that would make a perfect small gift. Mardi Gras Beads As Christmas GarlandUse them on a small Christmas tree as garland. 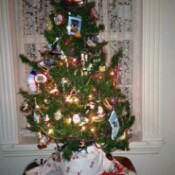 I have a small tree I put up in my dining room, and I put small ornaments that would get lost on my big tree on it. Instead of tinsel or garland, I loop Mardi Gras beads of all different colors together and drape them around it. They shine, even when the lights aren't on. Quickly Dry Small Clothing ItemsNot having your washed clothes dry in time for an event can be a bit of a damper. (Get it? Damper! Sorry.) 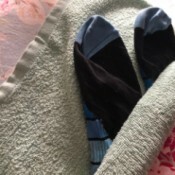 Here is how to get them dry quickly. Here is a real-life example with my socks. 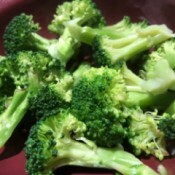 Partially Cook Veggies BeforehandBefore I use many of my vegetables in recipes like pan-fried or oven roasted sides, I will parboil or blanch them. This helps me out in many ways. 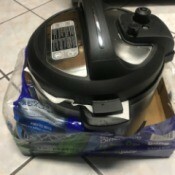 Precooking will cut down the amount of oil I use altogether by a lot, saving on calories and money. Thoughtful Christmas Gift IdeasI am looking to gift others with lasting items this year. 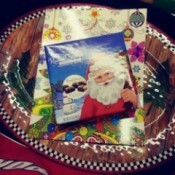 I liked how this seasonally decorated tray looked and I paired it with a seasonal adult coloring book. I decided to top it off with a small box of chocolates. 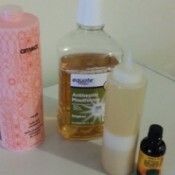 Adding Mouthwash to ShampooI have some lovely shampoo that leaves my scalp winter-itchy! Recently, I recalled that Listerine-type antiseptic is a good skin conditioner, so I began using it on my face. I had quite a bit left, so mixed it, half-and-half with my shampoo. I also added some drops of tea tree oil. Now, I have a wonderful shampoo that relieves all the itchiness, and leaves my hair feeling wonderful. Using Toy Catalog Pages as Gift WrapWhen it comes to wrapping presents/gifts, I try to recycle what I have before purchasing anything unnecessary. 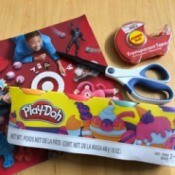 Don't throw away all those holiday toy catalogs you receive in the mail. I was able to recycle and wrap a couple of gifts with the Target catalog! 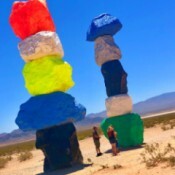 Seven Magic Mountains (Nevada)Here is a beautiful twist on nature. This is a free outdoor exhibit in Nevada called curated by Swiss artist, Ugo Rondinone. This is called Seven Magic Mountains. These boulders were locally sourced and painted, then stacked about 35 feet high. The sun does a beautiful number on these colours, making them radiate against the subtle desert background. Transporting Food SafelyIt's the holiday season! A lot of us are probably doing some cooking and then transporting the foods to our family or friends homes. Average Size of a Seven Month Old Pit BullI have a seven month old Pit Bull. I was told that he is a red nose bully, but I'm concerned that he is small for his age. In the picture he was like six months old. 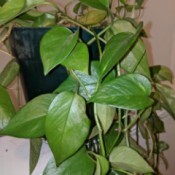 Identifying a HouseplantIs it a pothos or philodendron? It has waxy leaves that are rigid and pretty long. I have it wrapping around the banister of my stairs. It was given to me by someone who has had it for 22 years. Value of a Mersman DeskI have a small Mersman desk #7457. I have only found 1 similar to it which is a 7092 on e-Bay. I would appreciate any info you have on it and want to know approximate value of mine. 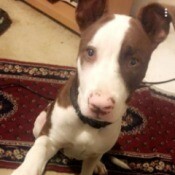 Recovery Time for Puppy with ParvoMy 11 month old terrier/Cattle dog mix has parvo. The day after he started showing signs, we took him to an emergency vet clinic where they confirmed parvo. We chose the outpatient treatment; he got anti-nausea injections and fluids. He isn't throwing up and doesn't have diarrhea yet. Will these symptoms come later down the road? Mama Cat Moved Kittens to Neighbor's YardLast Nov. 24th our cat had a litter of 4 kittens. She's actually from a stray cat's litter too, along with her brother. Since then they've been staying in our backyard. When she gave birth that was the first time she allowed us to touch her, we actually made a bed for her and her kittens in a box. 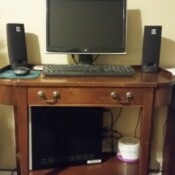 Then she moved them. Yukon Having Electrical Problems After Installing New Plugs and WiresI had my 2014 Yukon xl serviced. The service included changing and installing new spark plugs and wires. When I drove the vehicle after leaving the service department, the lights on the dashboard and the interior lights started flashing off and on and the door locks repeatedly locked and unlocked. Business Insurance RequirementsI have just got public liability insurance for my craft stall. I know about CLC for fragrances and allergens, etc. as I make but do not sell candles. I would love to make some simmering granules to try out. 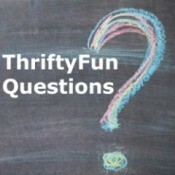 Would I need to re-advise my insurance company? Cat Peeing All Over InsideI have 3 cats that are indoor/outdoor cats. I got one this summer from the pound and she and my other cats never got along in the beginning. They have started getting along, but my new cat started peeing in my brother's bed where my other cats sleep. Buying George Foreman Grills in BulkI'm looking to buy the George Foreman grill the two serving one, in bulk, is that possible? 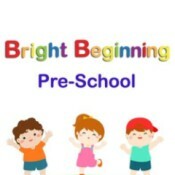 Preschool Tagline IdeasI need a tagline and quotes for my new preschool BRIGHT Beginning ?